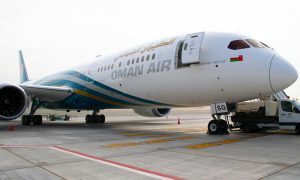 Oman Air has signed a Letter of Intent with Cargolux to enable the freight specialist to use Oman Air’s facilities in Muscat, Salalah and Sohar. The agreement includes the launch, on 15th April, of Cargolux’s full freighter services from Luxembourg to India via Oman. The formal signing of the agreement will take place when the first Cargolux flight arrives in Muscat on 16th April. The agreement signifies Oman Air’s latest step in expanding its cargo operations. It follows earlier initiatives by the national carrier of the Sultanate of Oman, which include the launch of pan-GCC and pan-European trucking services, and a joint cargo service with DHL between Oman and Dubai. Cargolux intends to increase the number of services it operates to Oman during 2015 to several flights per week, with onward connections to multiple Indian cities, including Chennai, Bombay and Hyderabad. Additional services to cities in India are being considered and connections to China, Europe, Africa and the United States are also planned. In addition, Oman Air will provide Cargolux with access to the freight capacity of its passenger fleet, which flies to 11 destinations in India and three in Pakistan, as well as to destinations in Nepal, Bangladesh and Sri Lanka. 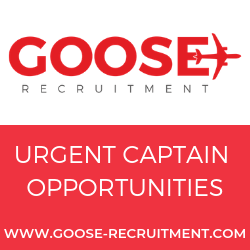 This will give the Luxembourg–based carrier the opportunity to feed consolidated freight to Oman from a number of larger markets. 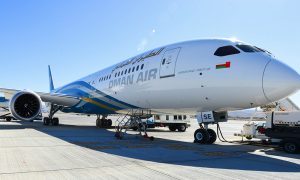 “Oman Air has extensive and long-term experience of operating flights to numerous destinations across the Indian sub-continent and East Africa. Cargolux is a leader in carrying air freight and offers huge capacity. This agreement therefore represents an important strategic partnership that will give an important boost to the Sultanate of Oman’s standing as a major hub for the movement of freight between Europe, Asia and Africa”. “In addition, Oman’s natural harbours, positioned at the entrance to the Indian Ocean and Arabian Gulf, and its proximity to the sub-continent provide a major advantage over its competitors in the region. Furthermore, under the guidance of His Majesty Sultan Qaboos, Oman has invested in the development of state-of-the-art logistics facilities – including ports, freight terminals and airports – not just in Muscat, but also in Salalah, Duqm and Sohar”. “Oman therefore has an excellent logistics chain for Cargolux to leverage and Oman Air is pleased and proud to be working with them to further expand the country’s cargo sector”.